Even though it’s been four years or so since their previous album, despite any rumor to the contrary, Dinosaur Jr. has not gone extinct. In fact, more than 30 years after they first roared, they’re back with another doozy of an album, Give a Glimpse of What Yer Not, released late last year. 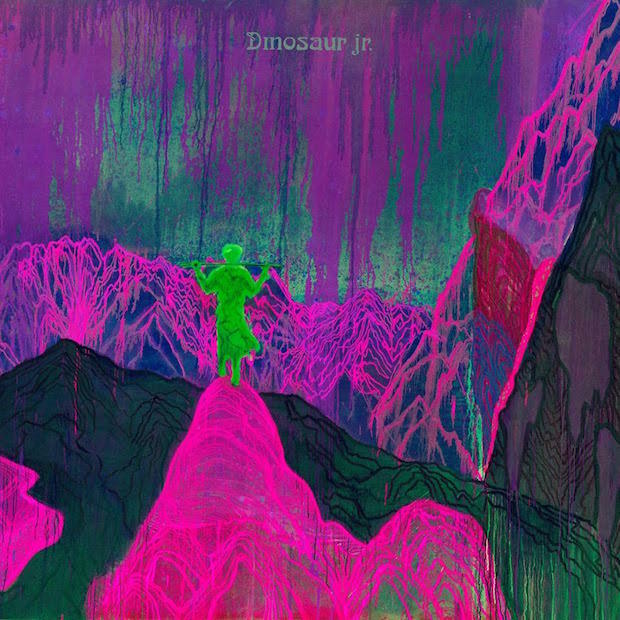 Though they’re getting old enough to be called “Dinosaur Sr.”, singer /guitarist/ songwriter J. Mascis, bassist Lou Barlow (who contributes two tunes here), and drummer Murph all are in prime form, sounding revitalized as they tear through 11 new songs. Basically, if you’ve liked this band during any point in their career — the original Mascis/Barlow era (mid to late ’80s), the post-Barlow grunge era (early to mid-’90s), or the post-reunion era (2007 to the present) — you’re bound to like Glimpse too. Mascis’ screaming guitar — those mud-soaked solos that seem to hurl effortlessly into some cosmic storm — and shaky vocals are front and center on most of the songs. The song “Knocked Around” is a cool sucker punch. It starts off slow and mellow with Mascis singing in a gentle falsetto. But about two and a half minutes into it, Dinosaur erupts and pounds the holy hell out of the song, ending it with a classic Mascis guitar solo. Barlow’s songs are powerful as well. “Love Is,” a minor-key rocker, would fit in well with Barlow’s ’90s band, Sebadoh. (Actually, Sebadoh still is around, but I digress.) And “Left/Right,” which closes the album, is a terse little snarler. Barlow’s voice sounds hauntingly similar to The Byrds’ Roger McGuinn’s in this song about love redeemed. For those of us who have loved this band, Give a Glimpse of What Yer Not is like a visit from an old friend — an old friend who’ll blow out your eardrums and shake the plaster off your walls. Long may Dinosaur Jr. roam the Earth! 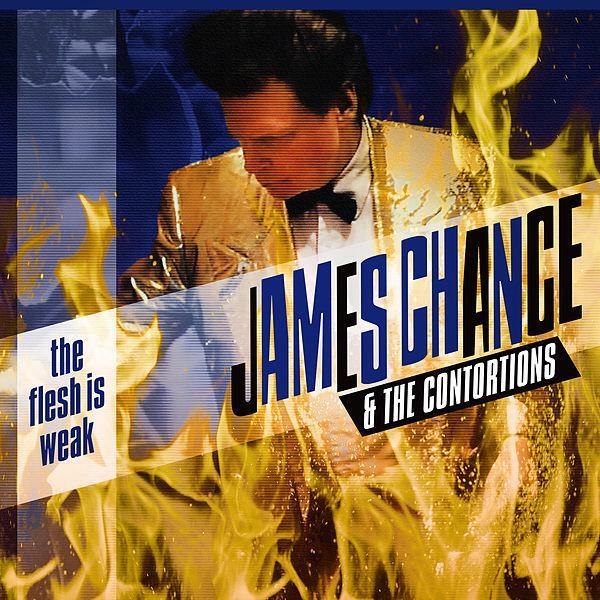 * The Flesh Is Weak by James Chance & The Contortions. Speaking of bands you thought might have gone extinct, no-wave champ and certified sax maniac James Chance also returned with an impressive album late last year. The Contortions contributed several songs to the influential No New York compilation of the wild experimental no-wave scene. Flesh shows Chance still has his unique discordant vision and his chops on both sax and vocals. The first song, “Melt Yourself Down” (a song he’s been doing live for years), starts out with a jarring electric-organ blast before the band comes in with their lively James Brown-meets-Captain Beefheart funk groove. Chance screams and squeals. “We’re gonna take that night train to Auschwitz!” he sings at one point. That’s followed by the title song, which is just as funky in its own peculiar way. Though most of the songs here are original, Chance gives us three worthy cover songs. One is an intense version of an intense tune called “I (Who Have Nothing),” which has been a hit for Ben E. King, Shirley (“Goldfinger”!) Bassey, and Tom Jones. There’s also “Home Is Where the Hatred Is,” a harrowing drug tale written by Gil Scott-Heron. But the best cover here is Chance’s reimagining of Frank Sinatra’s “That’s Life.” Fans of this song might not even recognize it on first listen with its probing bass line and wah-wah guitar straight out of Shaft and its Zappa-like time-signature change in the bridge, with Chance’s horn screaming for mercy. And yet in the last minute the song springs back into a more recognizable swing. Not a note on this record sounds dated. I hope Chance continues to release his amazing sounds. 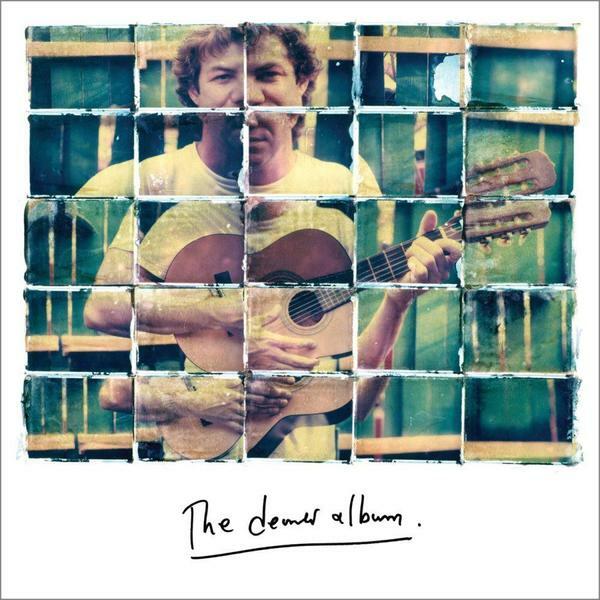 * The Deaner Album by Dean Ween Group. Ween was one of the strangest bands to ever get a video on MTV in the ’90s. They were a wickedly clever experimental duo who somehow captured the imagination of the (then) music channel with a quirky Bizarro World ditty called “Push th’ Little Daisies” that amazed and baffled the masses. 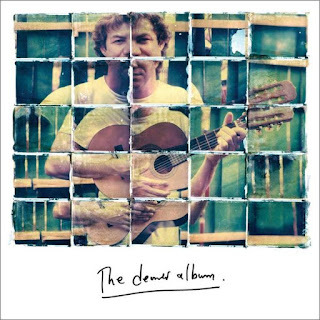 Ween hasn’t done a studio album in 10 years or so, but singer Dean Ween (Mickey Melchiondo Jr.) is back with a new band. So how does this outside-the-box visionary start off his new record? With a bona fide Southern rock instrumental titled “Dickie Betts” and sounding a lot like the former Allman Brothers guitarist. Not what you’d expect, but in a strange way, it works. There’s also an instrumental, “Garry,” inspired by Parliament-Funkadelic guitarist Garry Shider. But it’s the vocal tracks that carry this album. “Exercise Man” is a brutal and actually obscene tirade against some third-rate Jack. “Nightcrawler” is a nasty little nugget that could almost pass for classic rock if not for the distorted vocals and sci-fi guitar effects. But my favorite at the moment is “Gum,” with heavy bass and what sounds like a toy piano tinkling away as the singer shouts lyrics about enjoying gum, ice cream, and McDonald’s. This could almost be an ode to … the band called Ween. OK, let's see some videos! First, let's roller derby with Dinosaur Jr.! Here's James Chance & The Distortions playing "That's Life" live at Beerland in Austin last November.